When it rains on the island, a lot of residents are really happy because it means cooler weather and plants are happy, and it’s a respite from the humidity and heat that we experience 95% of the time. But for our visitors who are here for a short time, and expect some sunshine and beach time? Well, rain can put a damper on things…to say the least! So what exactly can one do when it’s raining and/or gloomy? Diving is generally still done if the seas aren’t choppy. Some people still brave the cooler water temperatures and try a little snorkel stop. But if a little rain holds you back from getting in the water (why is that?) 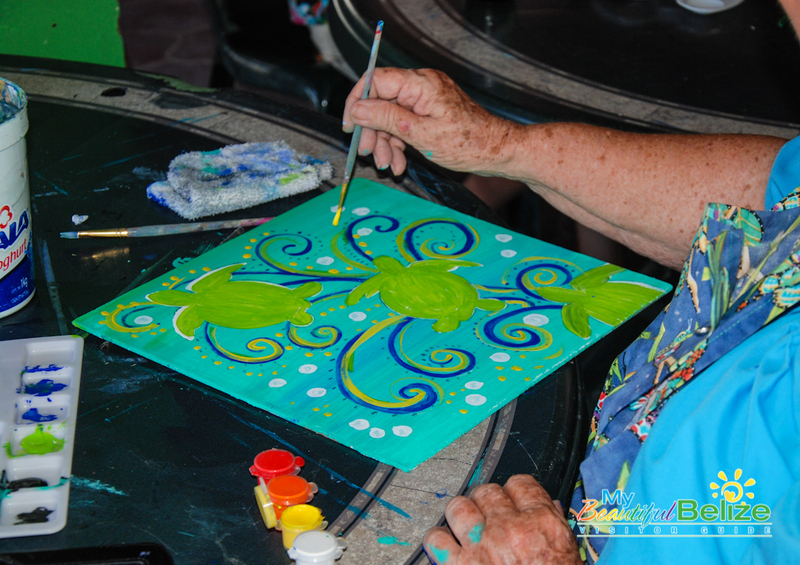 – there’s other fun stuff to do, and that includes a little color and creativity! 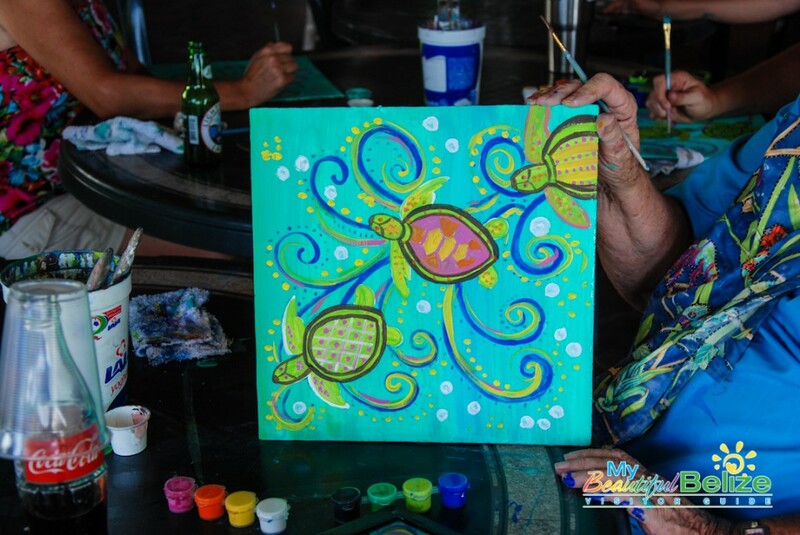 Melody Wolfe owns her very own cute little gallery that features tons of Belizean artists, and she’s super encouraging to others who want to explore their inner Picasso. 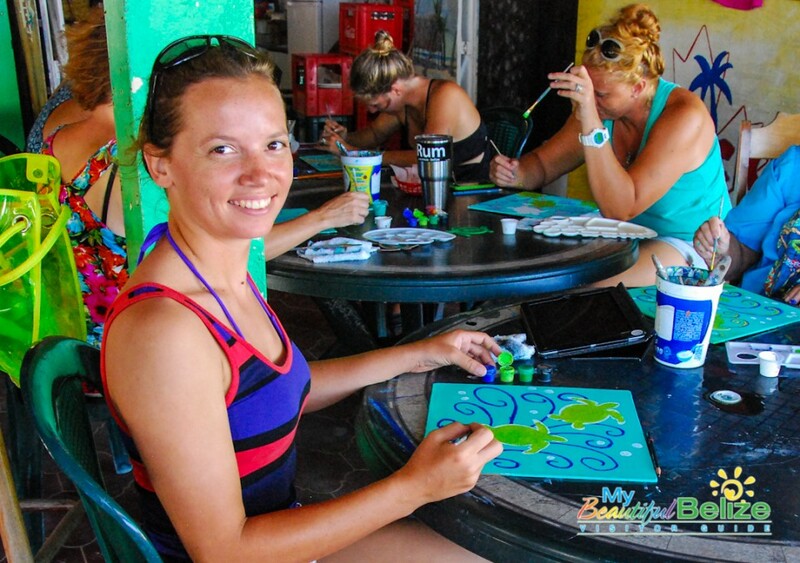 So she’s created a fun weekly event called Splash ‘n’ Paint. For $30BZ, you can create your own masterpiece. 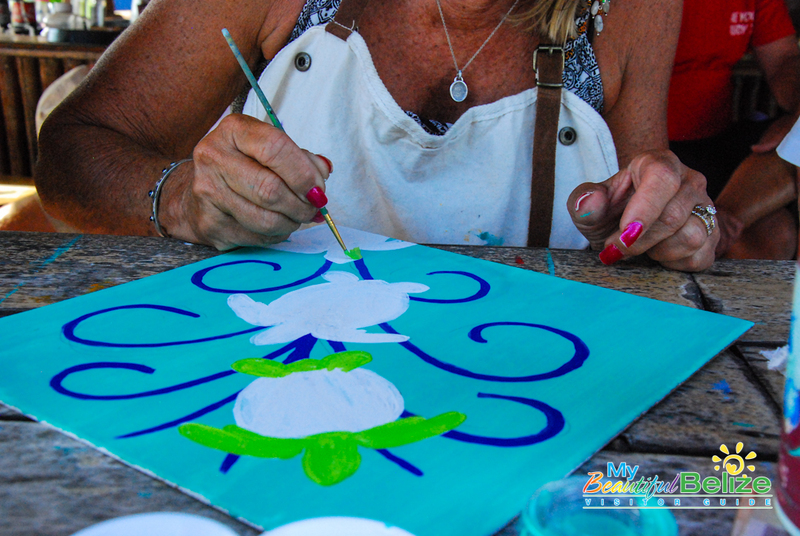 Stenciled canvases are provided, as well as paint and of course, Melody guides you when you’re feeling a little behind. 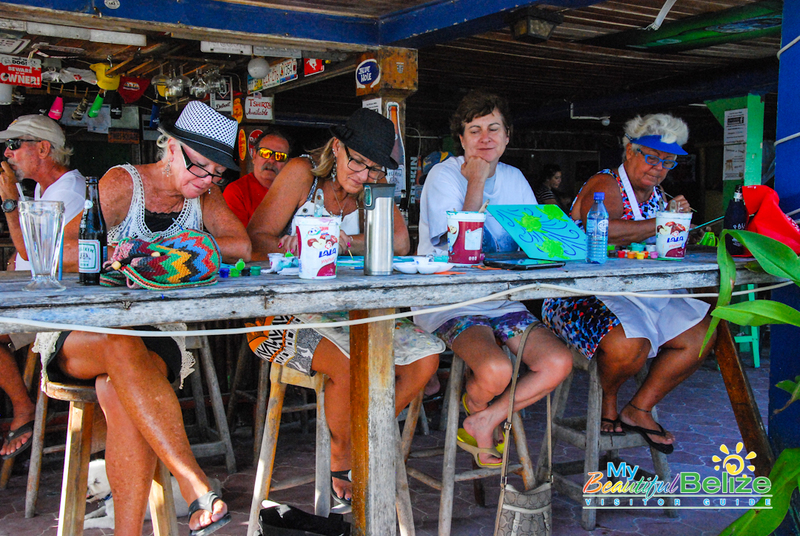 The go-to location for this paint party is at Crazy Canuck’s beach bar, every Thursday. But if you’re feeling like a little catch-me-up on the paint on a different day of the week, you should swing by her cute gallery on front street and try out some painting for yourself! Canvases start at $10! Call her up at 226-2787 or check out her Facebook page for updates!